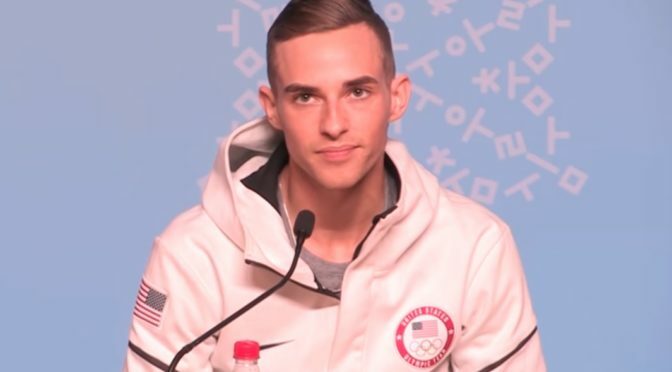 The Texas Progressive Alliance is thankful Adam Rippon is here to distract us from everything else as it brings you this week’s roundup. Off the Kuff questions the assumption that Republicans have the advantage for November in Harris County. SocraticGadfly has some First Amendment and other questions about the Mueller indictments. Stace is still sad that the local rodeo doesn’t have any Tejano Music on GoTejano day. But San Antonio is having one awesome music fest in March with the Tejano Music Awards Fan Fair Weekend. Because without Tex-Mex culture, politics is pretty boring. Neil at All People Have Value said school shootings are an intended result of America’s gun culture rather than an aberration. APHV is part of NeilAquino.com. Jason Pittman and Anita Ledbetter explain how Trump’s tariffs on solar panels will affect Texans. Juanita passes along a couple of primary recommendations. Texas expat Elise Hu prepares for the Year of the Dog. The Lunch Tray highlights a class difference in how parents treat junk food for their kids. Paul Battaglio, Doug Goodman, and Meghna Sabharwal voice concerns about how nonprofits are handling sexual harassment allegations.